Christine Gregory is the Chief Operating Officer at the NAACP Legal Defense and Education Fund, Inc.
Before joining LDF, Ms. Gregory was the Assistant Vice President of Strategic Initiatives, Diversity, and Title IX at Marymount Manhattan College where she provided executive leadership and support to the President. During her tenure, she established policies to ensure compliance with state and federal civil rights laws, set key institutional priorities to advance campus digital accessibility, and led in the implementation of the College’s Strategic Plan. She also served on the President’s Cabinet and staffed the Board of Trustees Governance Committee. 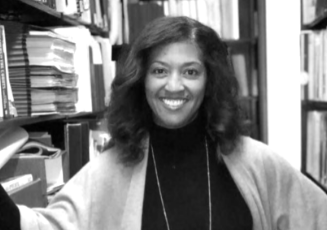 In 2006, Ms. Gregory was appointed the Assistant Dean for Student Affairs at the University of Michigan Law School where she helped establish the strategic vision for institutional diversity and inclusion when minority enrollment dropped by 42% due to Proposal 2, a constitutional amendment that banned affirmative action in the state of Michigan. Ms. Gregory pioneered cultural competency training for law students, co-creating and co-teaching the Law School’s first cross-cultural lawyering course. She also led in the development of accountability measures to assess how faculty approach issues of race and identity in classroom discussions. Ms. Gregory began her legal career as a staff attorney with the Neighborhood Legal Services Program in Washington, D.C. and served as the Executive Director of the Urban Alliance Foundation, a national non-profit organization that provides college and career opportunities to youth from under-resourced neighborhoods. Ms. Gregory holds a B.A. from Hampton University and a J.D. from the University of Michigan Law School.